The Bachelor of Science in Nursing (BSN) degree is an academic degree offered by a college or university. Students who successfully complete a BSN degree are qualified to take the National Council for Licensure Exam (NCLEX-RN) in order to become a professional registered nurse (RN). A BSN degree will prepare you to work as an RN in almost any healthcare setting, or it can be your stepping stone to an advanced nursing degree. Prerequisites for entrance into a BSN degree program include biology, microbiology, human anatomy & physiology, college algebra (or higher level math), chemistry, statistics, nutrition, pharmacology, English, government, history, general psychology, fine arts, sociology and elective courses. Getting a BSN degree requires time, dedication and sacrifice. But once you have completed your BSN degree and passed your state’s licensure exam, you have a career for life. Today, a BSN degree is offered in a variety of flexible and individualized formats. A Traditional BSN program is best for beginning college freshmen or transfer students. Marymount University in Arlington, Virginia, offers one of the top programs in the country, and boasts a 100% first-quarter NCLEX pass rate. Do you already have a bachelor’s or graduate degree in a non-nursing field? If so, consider an Accelerated BSN program. This path to your RN can be completed in 11-18 months. One of the top Accelerated BSN programs in the country is offered by Georgetown University, and earned a 100% NCLEX pass rate in 2011. Finally, a RN to BSN program is designed for students who are already registered nurses. This can be a great degree to pursue online, allowing students to continue working while they advance their careers. All coursework for the top-rated RN to BSN program at The University of Illinois at Chicago is completely online, and there are no residency requirements. So: Is Getting a BSN Worth It? While the BSN degree will take longer to complete than an ADN (associate’s degree in nursing) or a hospital-based diploma program, it is the preferred route to becoming a RN because it is the most respected by the healthcare community. In fact, many hospitals now require their nurses to have a BSN. 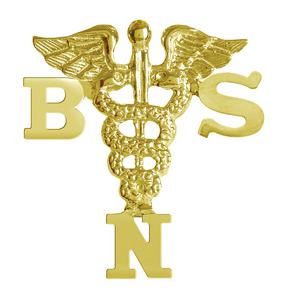 In addition, a BSN is essential for certain nursing specialties or a teaching career. New nurses with a BSN degree make an average salary of $52,000. BSN degree jobs include staff nurse at a hospital or doctor’s office; nursing administrator; school nurse; company nurse; public health nurse; and nurse practitioner. With a BSN degree your salary can increase dramatically during your career. Average nursing salaries in 2011 ranged from $60,830 in a nursing home facility to $85,940 for personal care nurses. The average nurse salary for an experienced RN today is $83,000, according to indeed.com. A BSN degree can equip you with the education, skills and experience necessary to meet the increasingly complex healthcare demands of today’s individuals, families and communities.